July used to belong to just one beer fest, the giant kegger-by-the-river that kicks off in five day's time. Then the international beer fest muscled its way onto the calendar (though this year it's coming in August). That made room for other fests, big and small (Puckerfest, Belmont Station's celebration of sour beers, is still one of the best). This weekend we'll have the formerly in-house McMenamins Roadhouse Brewfest, and it will compete with the new and still-shiny White Owl Lagerfest on Saturday and Sunday. I have no idea if Lagerfest will join the pantheon of beloved classics, but it's relevant in 2014 not only because it's something new, but because lagers are making a big return to the west coast. Why I find most fascinating is that these aren't lagers in ale drag, all bejeweled with subtle esters and way too many hops. They cleave to more ancient traditions and are sessionable in both strength and hop intensity; there are German pilnsers and helleses gallore, along with an occasional Vienna lager, schwarzbier, and maibock. Unusually, the fest has different taplists both days, and of the two, you'll find more hard-to-get lagers on Sunday, including more from beyond Beervana. 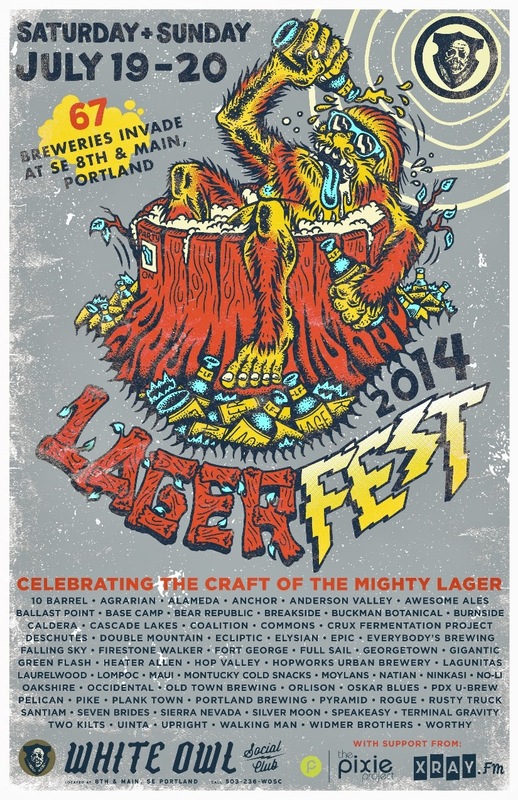 But both days have great line-ups, and for the lagerheads and lager-curious, it looks like a really nice time.